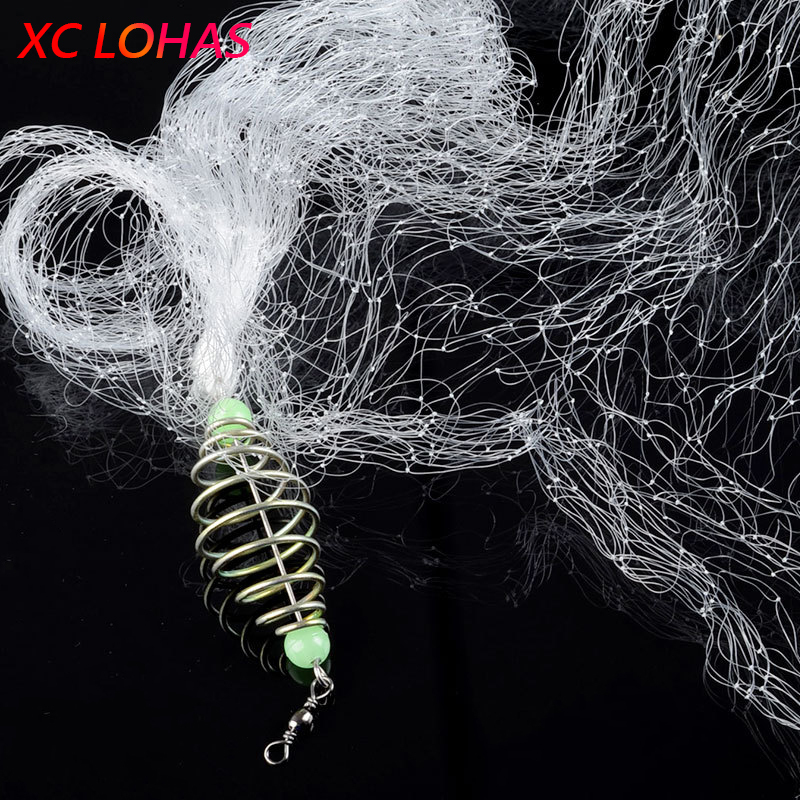 Material:High Strength Nylon Fishing Net + Cooper Spring + Glow in Dark Beads + Ball Bearing Swivel Solid Ring Connector. Length: 1 – 1.1M approximately. 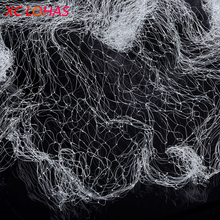 Package includes: shoal fishing net*1 piece. Feature: Portable design. Low price. Durable Usage. White – 2cm x 2cm — Suitable for Catching 0.1kg Fishes. White – 3cm x 3cm — Suitable for Catching 0.15-0.5kg Fishes. White – 4cm x 4cm — Suitable for Catching 1-1.5kg Fishes. 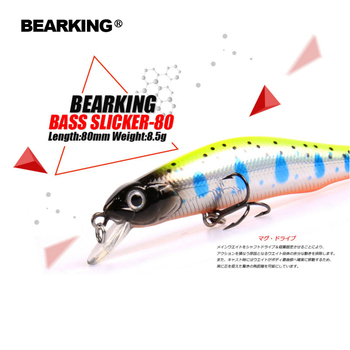 White – 5cm x 5cm — Suitable for Catching 2-2.5kg Fishes. Blue – 6cm x 6cm — Suitable for Catching 3-3.5kg Fishes. Fit for: Catching Massive Fishes and Shrimps in the Shallow Flowing Water, Like Rivers, Streams. 1. Pls Fllow the User Manual to Install the Fishing Net. 2.Pls Remove the Fishes Strapped in Net from Head to Tail Carefully, So it will not Damage the Net.